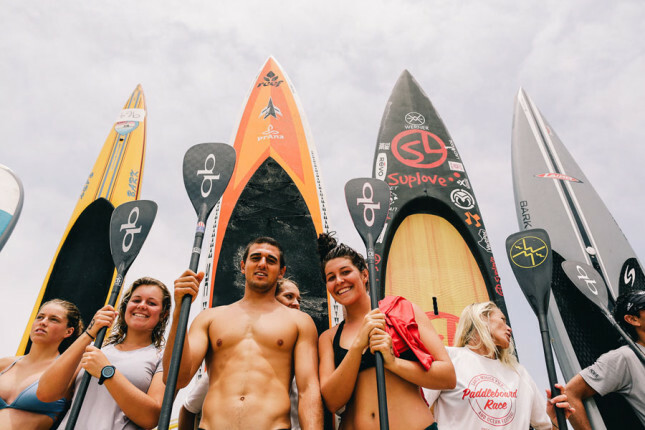 Check out the full results from Saturday’s Santa Monica Pier Paddle Festival, which was held in very solid surf and won by Slater Trout and Brandi Baksic. 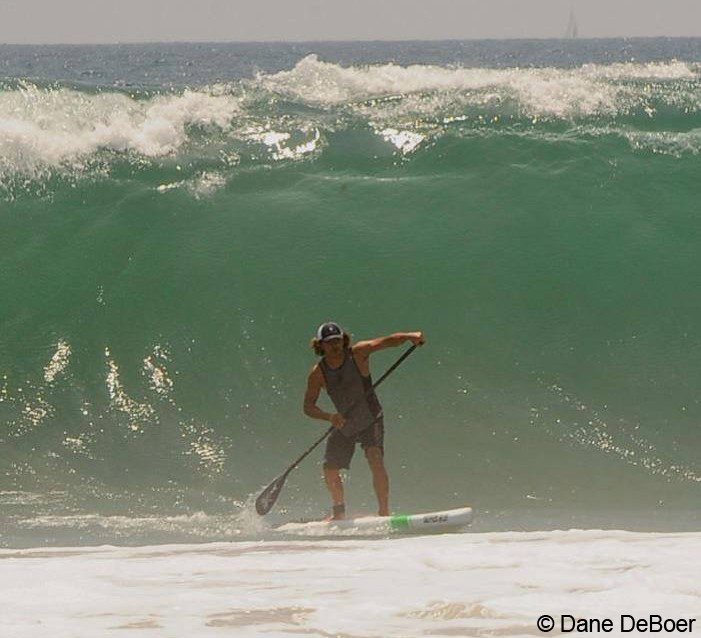 Surviving the carnage and finishing runner-up in the 5.5 mile race was Team Mexico star (and official Rogue SUP Race Calendar pin-up boy) Fernando Stalla, just seven seconds behind Slater. The 4th annual Santa Monica Pier Paddle offered $20,000 in cash and prizes and . 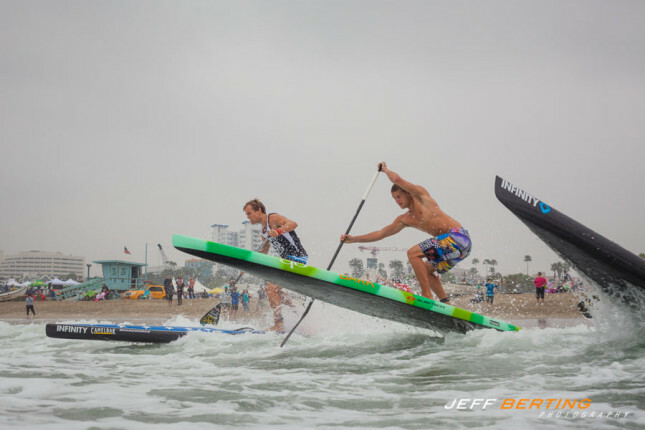 The unusually big surf forced organisers to suspend a bunch of the amateur races, but the elite guys and girls were keen to get out there and entertain the thousands of fans on the beach. The shot of the day came courtesy of Mexico’s Javier Jimenez, who got run down by a monster set during the team relay. Despite the carange, Jimenez’s squad (Team Sayulita) took the win and claimed the $2k bounty in the Tommy Bahama Team Challenge Relay Cup. The 2013 SM Pier Paddle was a charity event supporting “Heal the Bay” and its marine education house, the Santa Monica Pier Aquarium that’s housed beneath the historic Pier Carousel. Heal the Bay scores a portion of proceeds from the event. 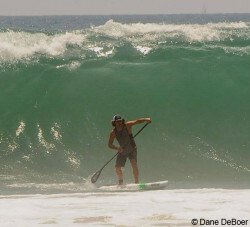 Scroll down for the full SUP race results.